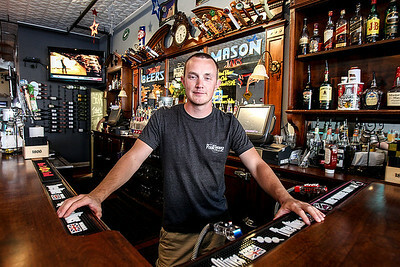 Sarah Nader - snader@shawmedia.com Bryson Calvin, owner of PourHouse poses for a portrait at his Woodstock bar and restaurant Thursday, September 5, 2013. 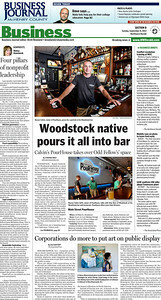 Sarah Nader - snader@shawmedia.com Bryson Calvin (left), owner of PourHouse talks with Amy Nero of Woodstock at his Woodstock bar and restaurant Thursday, September 5, 2013. 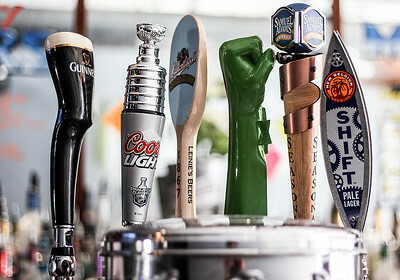 PourHouse offers more than 50 beers from international breweries to micro-breweries. 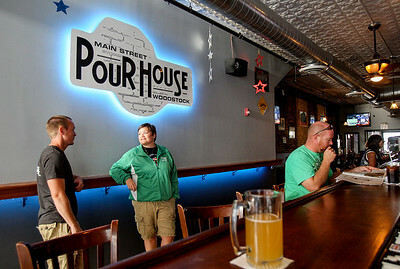 Sarah Nader - snader@shawmedia.com PourHouse in Woodstock opened in May and offers more than 50 beers from international breweries to micro-breweries. 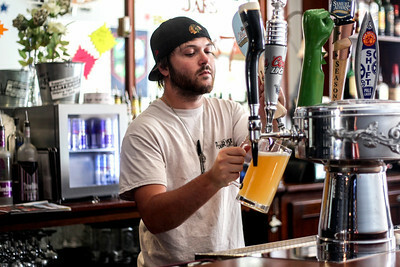 Sarah Nader - snader@shawmedia.com Bartender Josh Lewellyn pours a beer while working at PourHouse in Woodstock Thursday, September 5, 2013.